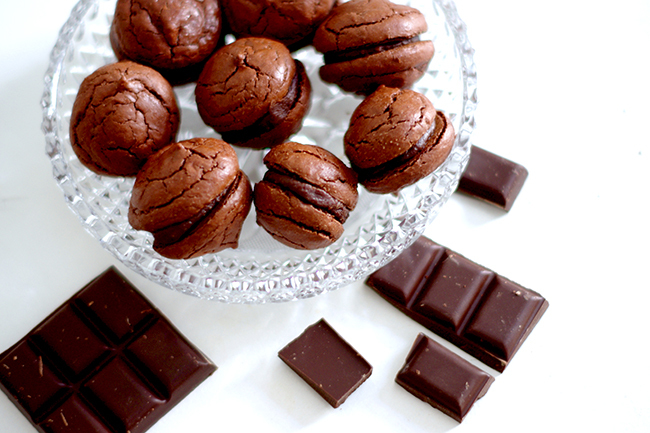 But don’t be scared to try these, because even if they don’t turn out as beautiful as the French masterpieces, they’ll still taste delicious. 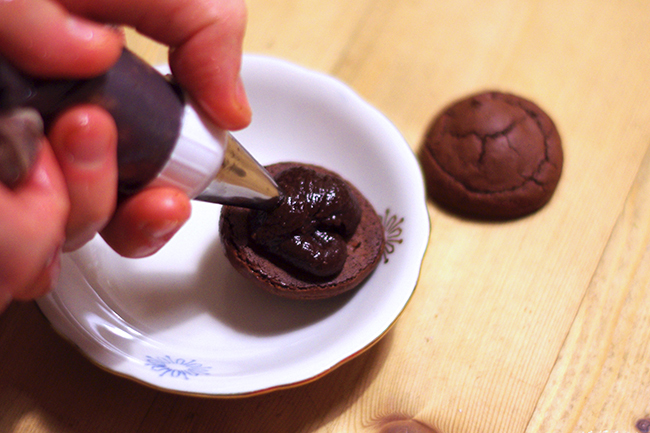 And if somebody dares to question the authenticity of your macarons, say it’s the German version – the Macaramburgers! 1. Place the granulated sugar and the egg wites into a bowl and mix everything on medium spead for about 30 sec. Then increase the speed to high and beat the mass for about 5 min until the mass gets white and stiff (liked whipped cream). Set aside. 2. 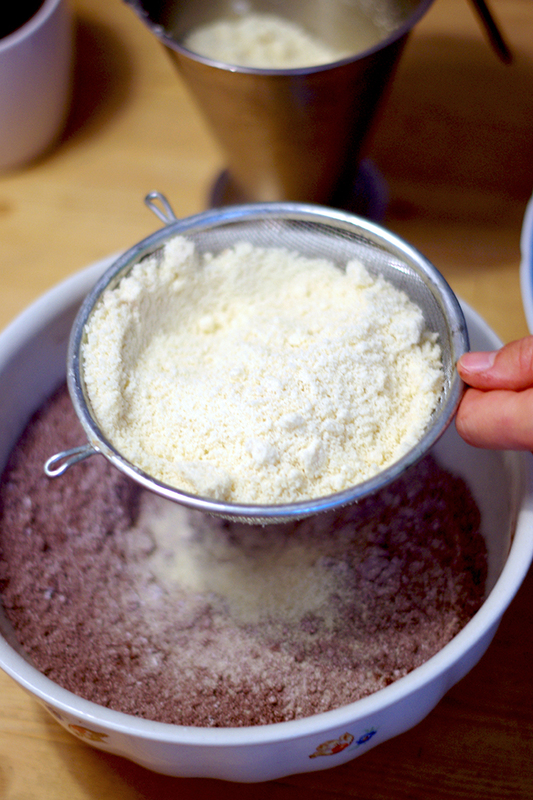 Sift the almond flour through a flour sifter into a large bowl. 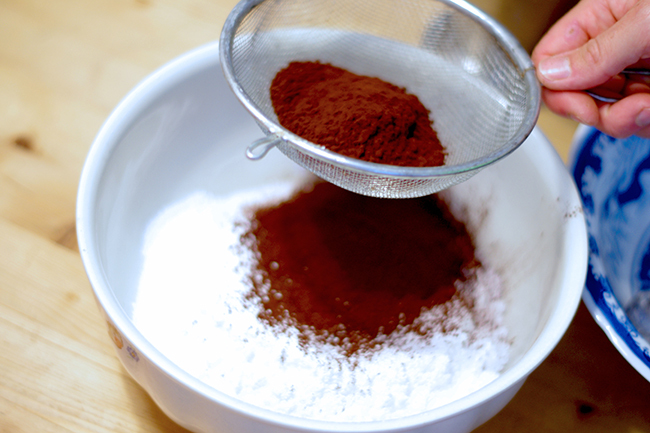 Then sift through the cocoa powder on top of it and mix gently everything with a spoon. 3. 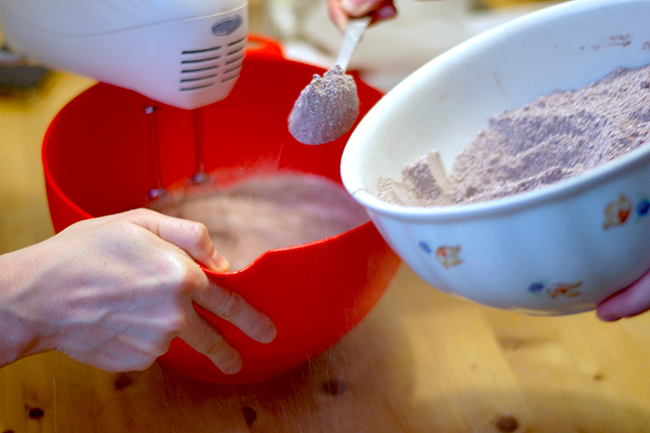 Add the powder sugar to the almond flour/cocoa mixture and mix everything with the spoon. 4. 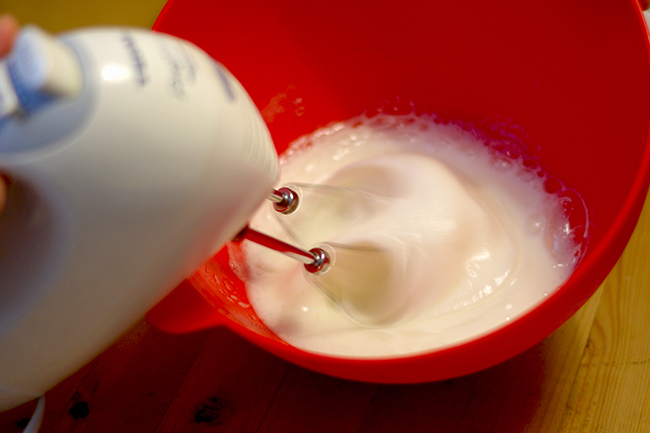 Continuen to mix the meringue while gently folding the dry mixture into it. 5. Mix everything until everything is combined. The mixture should run like a slow-moving lava. 6. 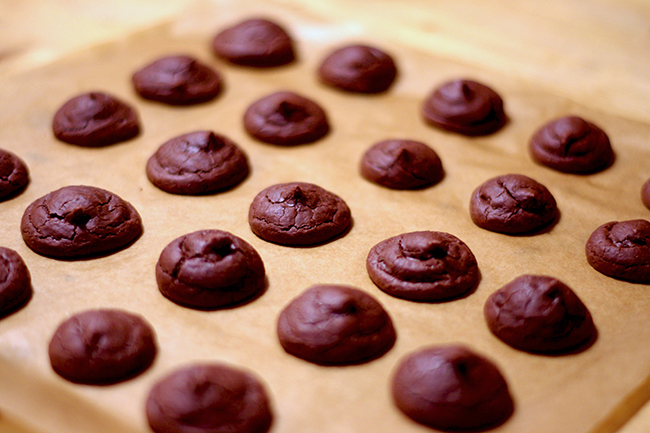 Fill the pastry bag with the batter and pipe out 2-3 cm rounds or peaks about 2 cm apart onto the baking sheets. 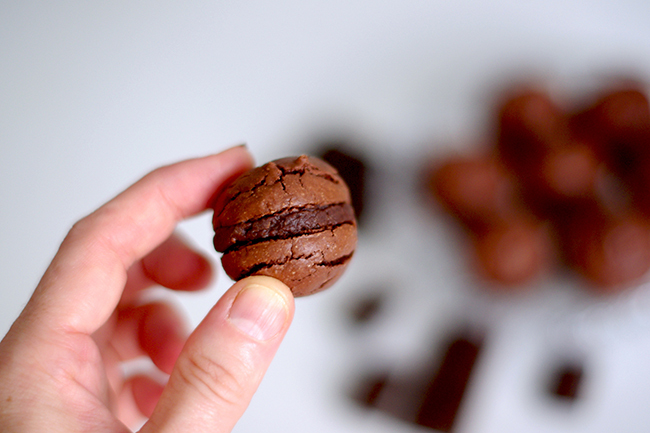 Pick up the baking sheets and bang them against the work surface to help create the macaron foot. 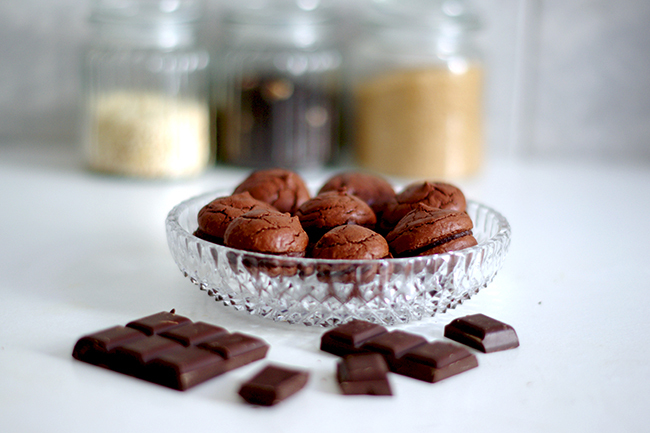 Let the rounds sit at room temperature for 20 minutes to dry the tops and ensure even cooking. Meanwhile preaheat the oven to 160°C (320°F). 7. 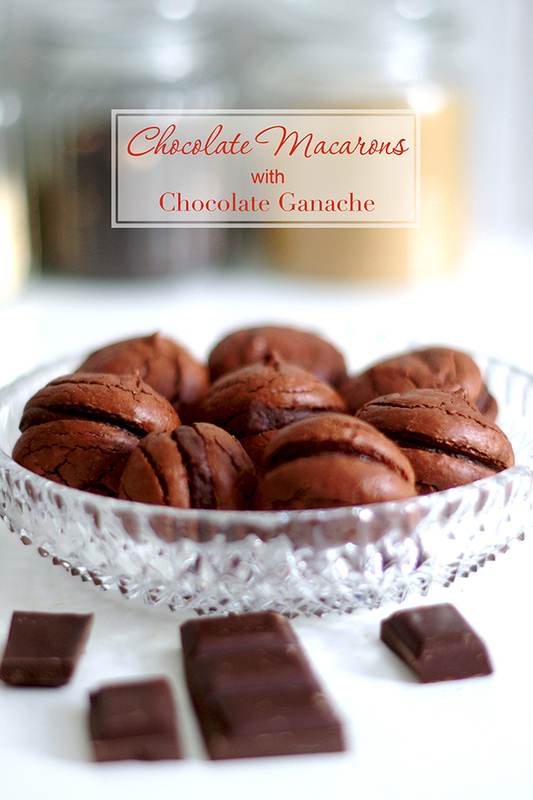 Place one sheet at a time in the center of the oven and bake the macarons for 12 minutes. 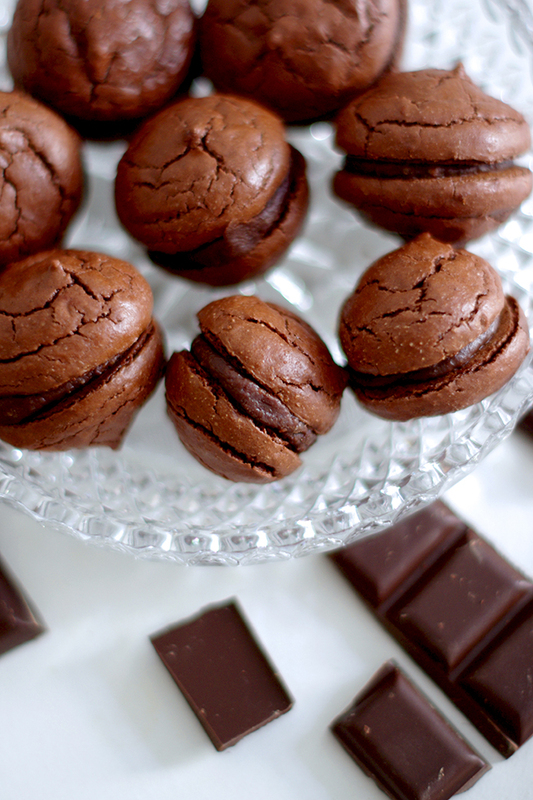 It might look like the macarons are too soft, but don’t worry. Once they’ve cooled down, they will get their tupical crisp top. to boil. 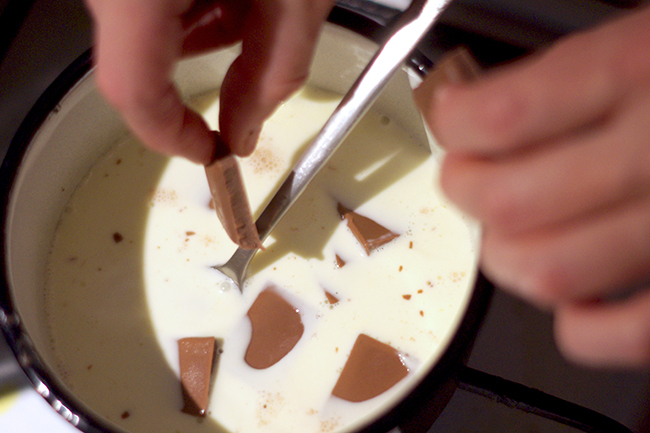 Add the chopped chocolate and stir until everything is smooth. 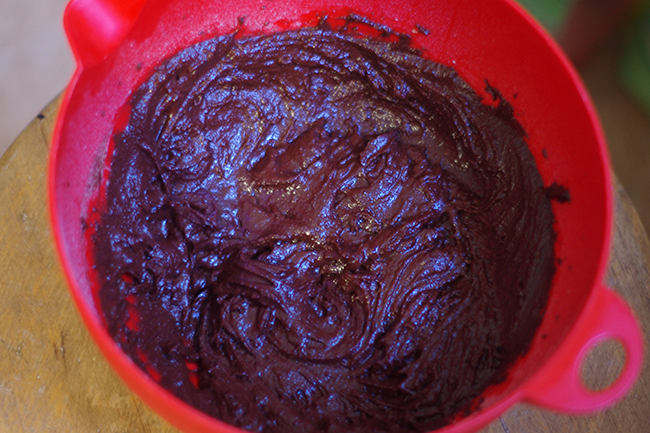 Chill the ganache in the fridge for about 30 minutes. 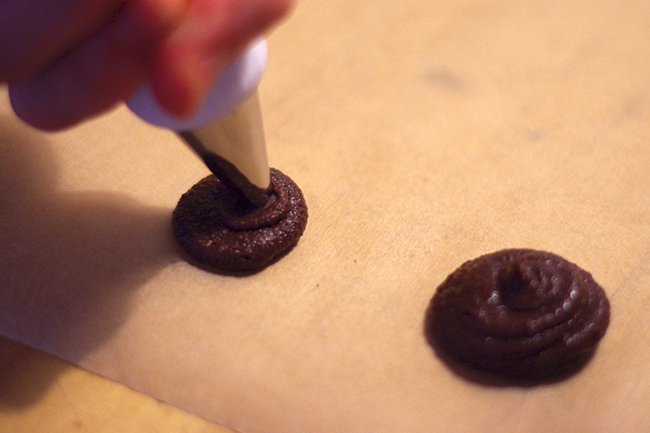 Top with another half and press gently so that it looks like a mini hamburger. Refrigerate covered for couple hours before serving.